This liveblog is in reverse-chronological order. Refresh the page for the latest updates. 8:36 Well it was an underwhelming and mildly offensive show. Recap with more in-depth thoughts to be posted tomorrow. Thanks for reading! 8:14 Is there a reason why most of the best actress clips are of the women in pain? Just wondering. 8:02 Academy brought out a woman to introduce a woman, to introduce a woman, but, whoops, forgot to nominate a woman. 7:50 I find the idea of women’s “goddess”-ness being tied to smooth legs, really, really problematic. 7:41 Well, I’m offended by the lack of diversity throughout the show. 7:28 I seriously do not understand this obsession with the early Oscars, all it does is show how far Hollywood hasn’t come, with about as much diversity in 2011 as there was in the 1950s. 7:24 Sorry for the slow updates, haven’t seen anything offensive or great in a while. 6:48 Well that’s twice that a woman was part of a winning team and didn’t get in a word. Not sure if it was decided beforehand who would speak, but just an observation. 6:28 Academy is better at recognizing women filmmakers when looking at foreign movies, apparently. 6:26 Disappointed to see cross-dressing being played for laughs. 6:12 Why is this show glamorizing “old” Hollywood so much, conveniently ignoring that it was full of racism, sexism, etc.? 5:57 Aaaand, now he’s hitting on the winner too. 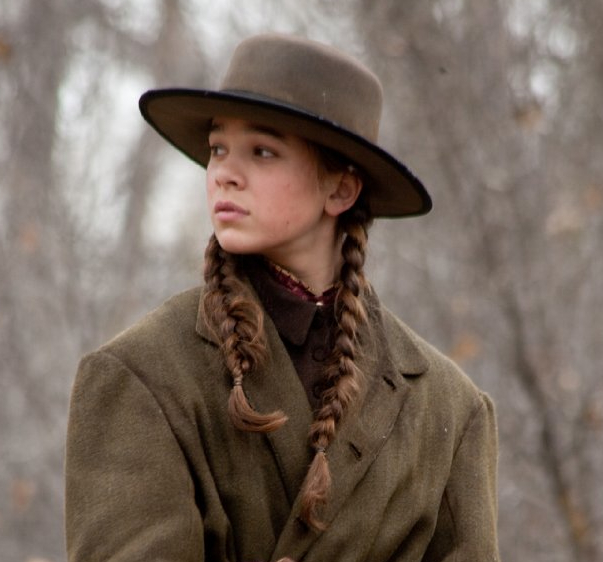 5:55 Hailee Steinfeld is in the wrong category – should be “Best Actress”, she is the star of True Grit. 5:53 The whole Kirk Douglas-Anne Hathaway thing had a cringeworthy “creepy old man” vibe to it. 5:45 Sad to see the woman (set director) not able to get in a word during the first win. The film is about two teenagers (Mia Wasikowska and Josh Hutcherson) who are being raised by their lesbian moms (Julianne Moore and Annette Benning). 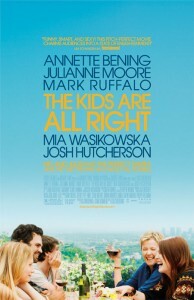 We pick up their story as they decide to contact their biological father/sperm donor (Mark Ruffalo) much to the chagrin of Benning’s character, Nic. First off, I want to get out of the way that I was really entertained by, and actually, liked the Bechdel-approved, film overall. So, don’t think I’m not a total stick in the mud. BUT, you can assume if that’s the preface to everything else I’m about to say – it was not without its problems. The number one most irritating aspect of this film is its depiction of lesbian sexuality. Surprising, given that it was written and directed by a lesbian…just goes to show how powerful those production dollars are.